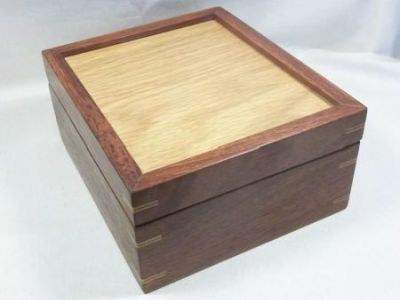 Handcrafted in Western Australia by Chris Busby. 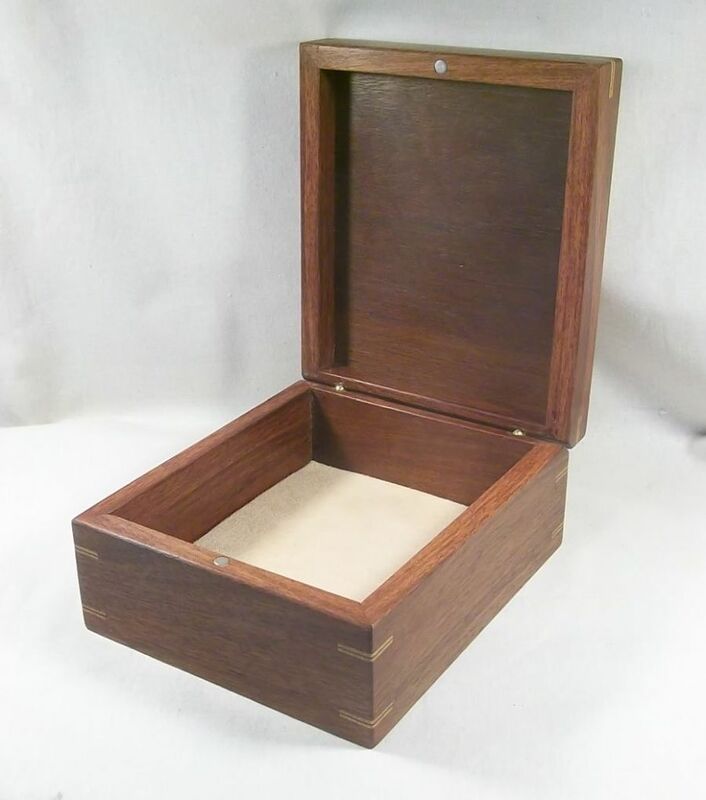 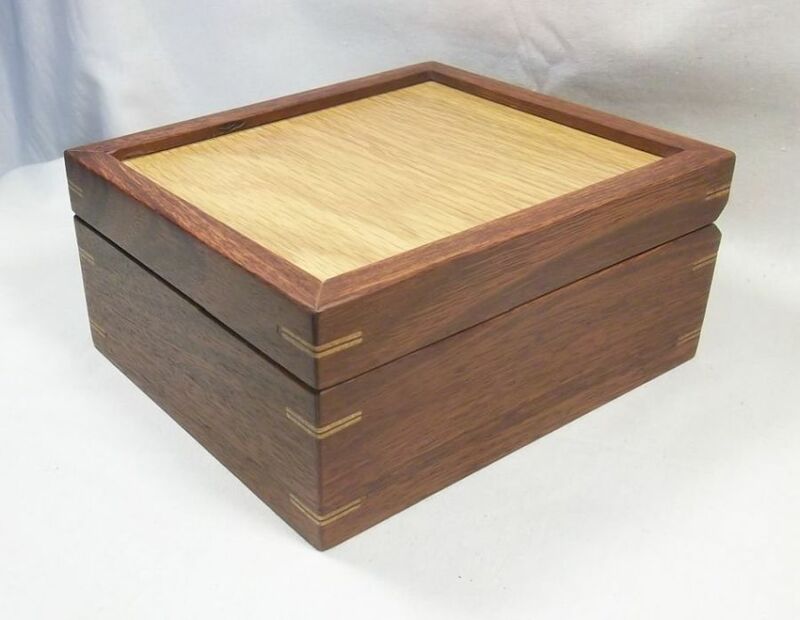 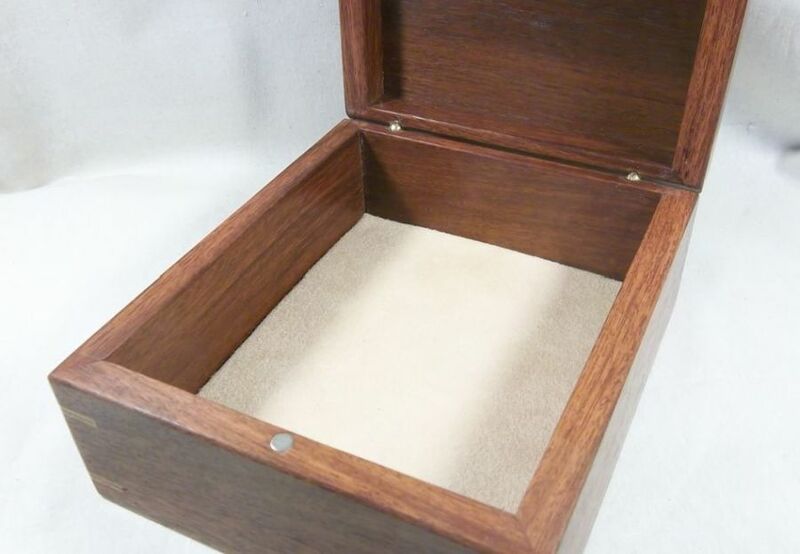 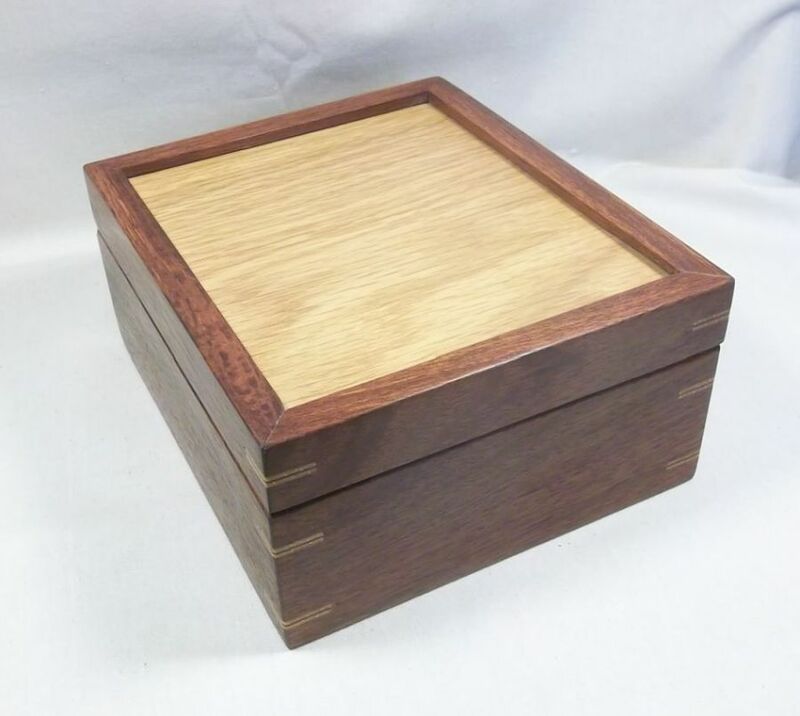 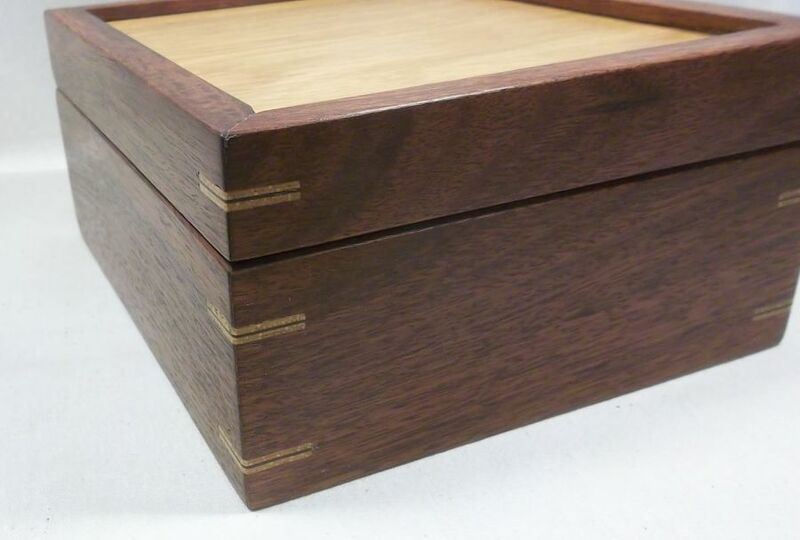 This beautiful and unique box features West Australian Jarrah timber with a lid panel	in American White Oak. 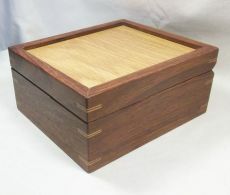 The decorative corner keys are laminates of White Oak and Jarrah and add strength to the joints as well as providing an attractive visual feature. 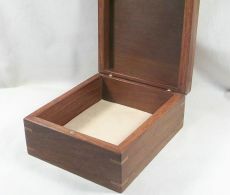 The inner base is lined with a cream coloured macrosuede fabric. 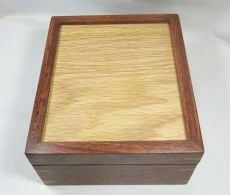 Its measurements are 165 x 140 x 75 mm high. 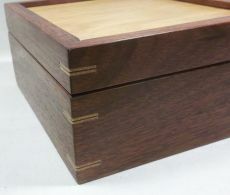 I have hinged this particular box on the short side, ie. the box opens in a 'portrait' rather than 'landscape' orientation which is more usual with rectangular boxes.